Opening Sloat Blvd. 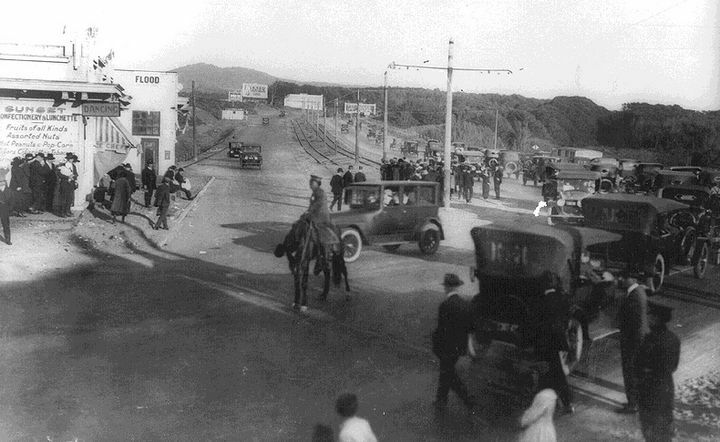 to traffic, 1919. Sloat Blvd looking east near Everglade Drive. Mt. Davidson in distance, Stern Grove at left, Nov. 1, 1927. 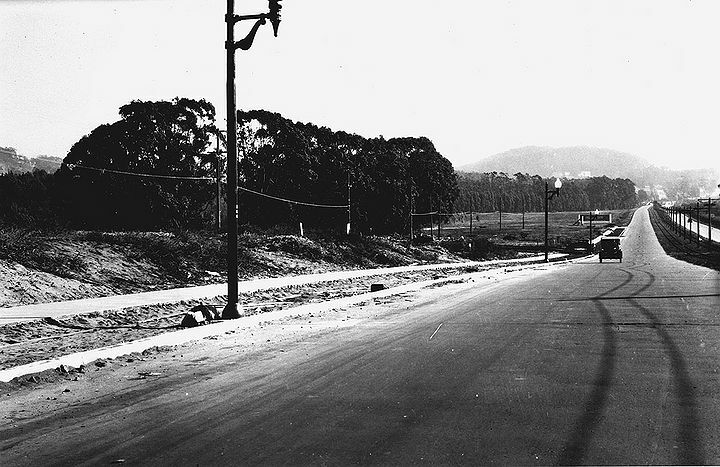 Sloat Blvd looking west at 45th Avenue with Fleishhacker Zoo at left, 1942. 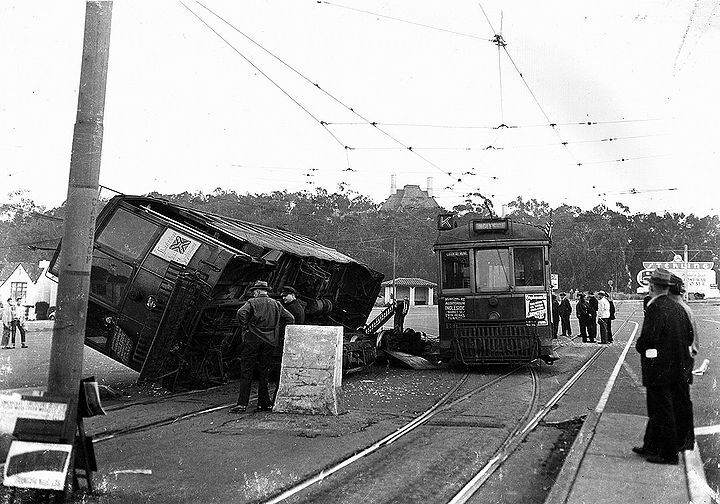 K-Ingleside derailed near Sloat Boulevard. Edgewood Orphanage visible above trees in Stern Grove, 1950s. 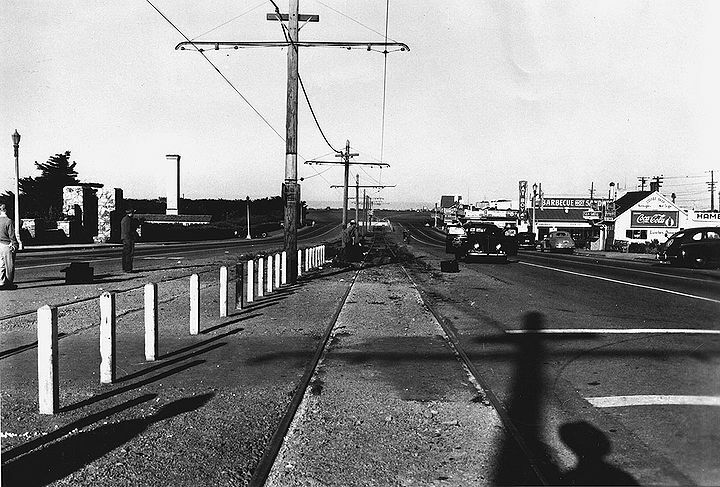 West Portal, Sloat Blvd., and Junipero Serra, c. 1940. 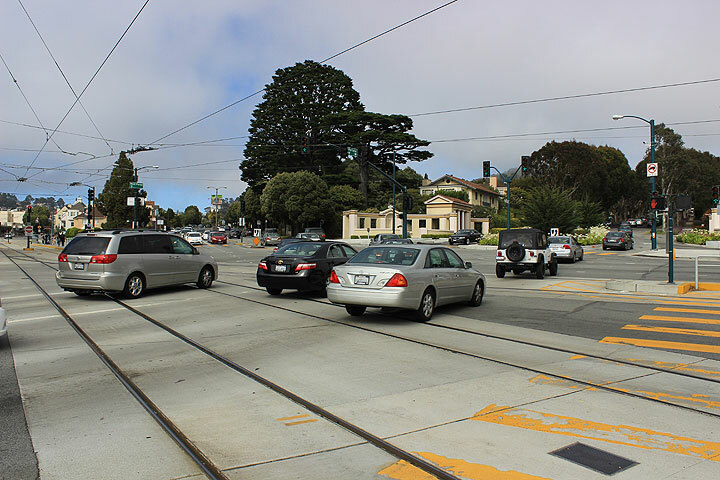 West Portal, Sloat Blvd., and Junipero Serra, July 2014.